Can save the temperature of bath or shower, small space prevent excessive distributing heat. 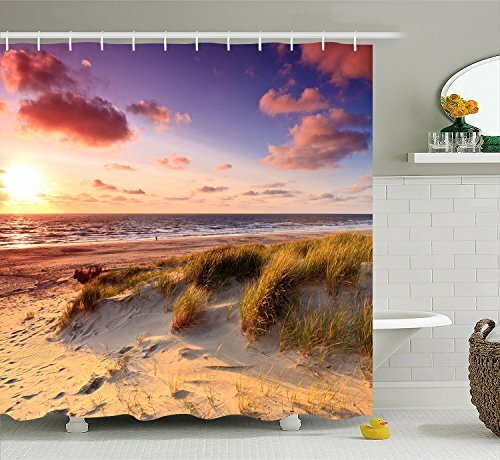 This is an amazing nature inspired shower curtain. 3D Waterfalls Nature Scenery Pattern design, make sure this is the shower curtain you are striving for. It has matching hooks to complete your oasis. Machine washable Cleaning and maintenance are a breeze! Any problems occur within one year replacement, lifetime warranty, if you're not completely satisfied, just feel free to contact us and we will give you a 100% refund within 90 days of purchase. The notion of our company is to offer the BEST customer service on Amazon. This curtain is gorgeous and rare to find. Original . If you have any questions about this product by Animal Shower Curtain, contact us by completing and submitting the form below. If you are looking for a specif part number, please include it with your message.